Welcome to Sydney Discus World Online. 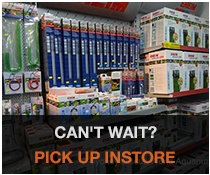 With over 20 years experience, our professional team have a passion for fishkeeping and want to inspire our Customers through our huge range of Freshwater and Saltwater Aquarium Supplies, complete Aquarium Setups, Planted Aquascaping equipment, plants and coral at everyday low prices. Buy with confidence- We offer Fast Shipping as well as Click and Collect. We import many premium brands direct, buy in bulk and ship directly from our warehouse at Flemington Markets, Sydney. Since we buy in bulk, we can offer these amazing low prices direct to our Aussie Customers. 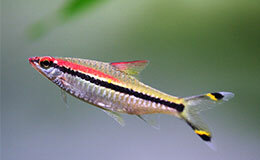 We are Australia's leading Online Shop for Live Aquarium Fish, i.e. Discus Fish, Tropical Fish, Cichlids, Marine Fish and Coral. Looking to create a slice of the Great Barrier Reef in your home? We have a huge range of Marine Aquariums, Live Rock, Coral, Marine Water Supplements, Dosing Equipment, Aquarium Salt and more! Looking to buy a fish tank or Complete Aquarium to begin your amazing fishkeeping journey? We have a HUGE selection of fish tanks to buy online in Australia and are persistent on delivering value, range, quality and will be able to stock all the required equipment to effortlessly care for your fish and creations. Looking for Planted Aquascaping Supplies? We have a huge range of aquascaping supplies including CO2 Regulators, LED Aquarium Grow Lights, Aquarium CO2 Kits, CO2 fittings, Lily pipes, Aquatic Plant fertilizers, Aquarium Substrate, Aquarium Gravel, Aquarium Backgrounds, hard-to-find Planted Aquaria and more. The combination of a quality CO2 system, LED lighting and fertilization is they key to a vibrant and lush aquascape. 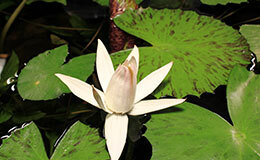 Our collection of Aquarium Plants on offer is second-to-none. We will supply you with all your aquarium plants for you to create a jaw-dropping aquascape, worthy of entry to the IAPLC. All our plants looked after and bursting with health. They are carefully packed and promptly shipped to you direct. We also offer a comprehensive range of Aquarium and Pond services which include Fish Tank, Pond and Water Feature Design and Installation, Water Chemistry diagnosis, Fish Tank Makeovers and Fish Tank Relocations. 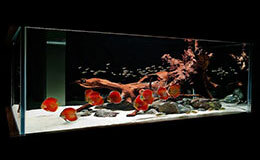 Looking to buy a Custom-Built Aquarium or install one for your building project? 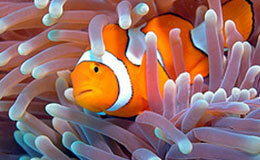 Aquarium Architect are Sydney's leading Custom Fish tank provider. Their Structural Engineering expertise gives them the backbone to design your Custom-built Fish tank, with optimum energy and water usage efficiency in mind. Aquarium Architect's Custom Aquarium designs incorporate Biological, Mechanical Filtration and UV Steralisation principles to ensure that your aquarium stays healthy, stable and less prone to water parameter fluctuations and requires minimal ongoing maintenance. Their Custom Aquarium designs can also incorporate a proprietary feature that streamlines servicing and water changes, saving you time and money. Visit Aquarium Architect to schedule an obligation-free consultation, further details, current projects and contact info. 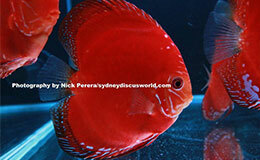 Sydney Discus World Online is provided by Sydney Discus World Aquarium Pty Ltd. It is an independant website, and in no way affiliated with Sydney Discus World Aquariums Retail Store, located at Homebush West. SDWA Online has unique online-only pricing. Therfore, we urge our Customers to make an informed decision prior to purchasing. Customer service and education is our top priority. If you need any assistance, please don't hesitate to contact us. Note:Click and Collect orders can be picked up from Sydney Markets (Flemington) if they have been purchased prior via SDWA Online www.sydneydiscusworld.com and you have received a Waiting for Pickup email. Please refer to Pickup Instore section in Customer Service for more details.